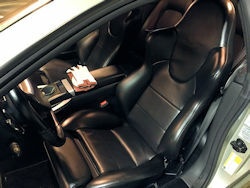 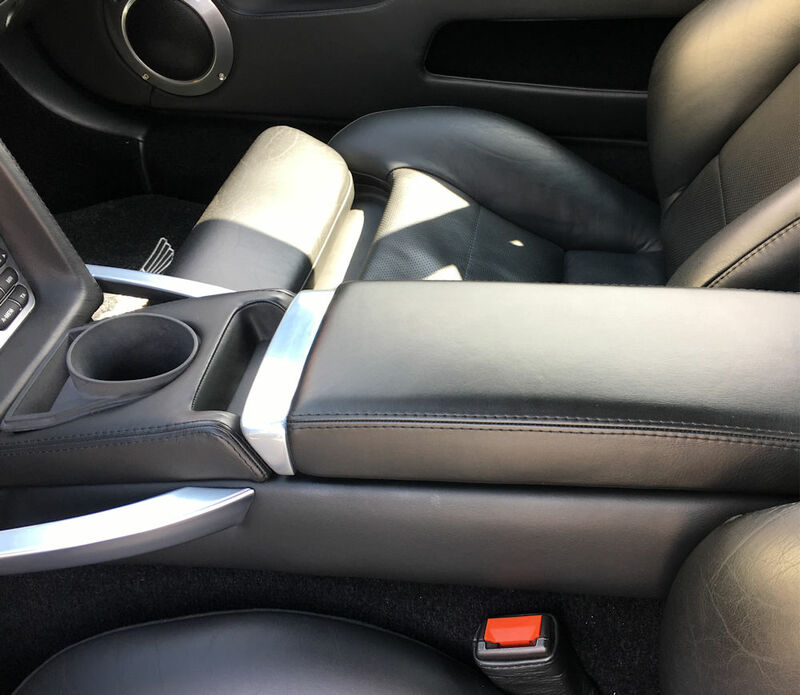 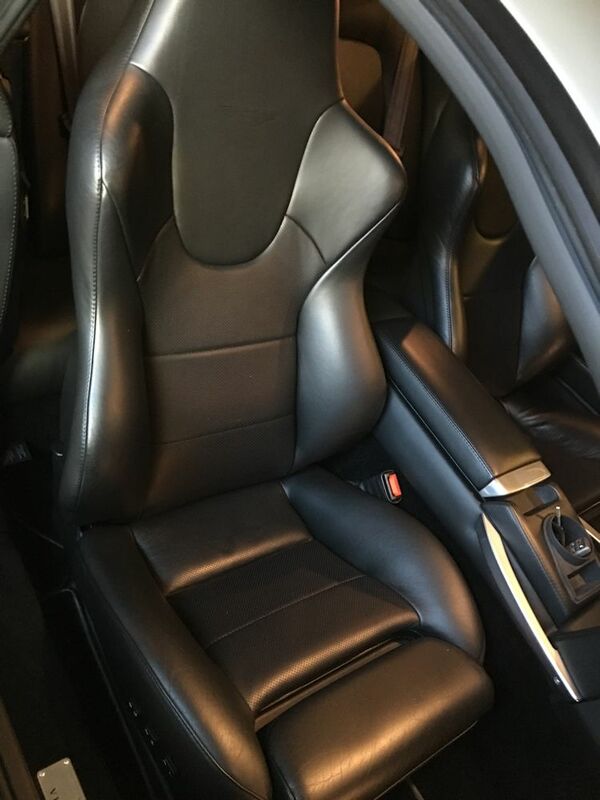 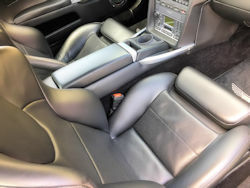 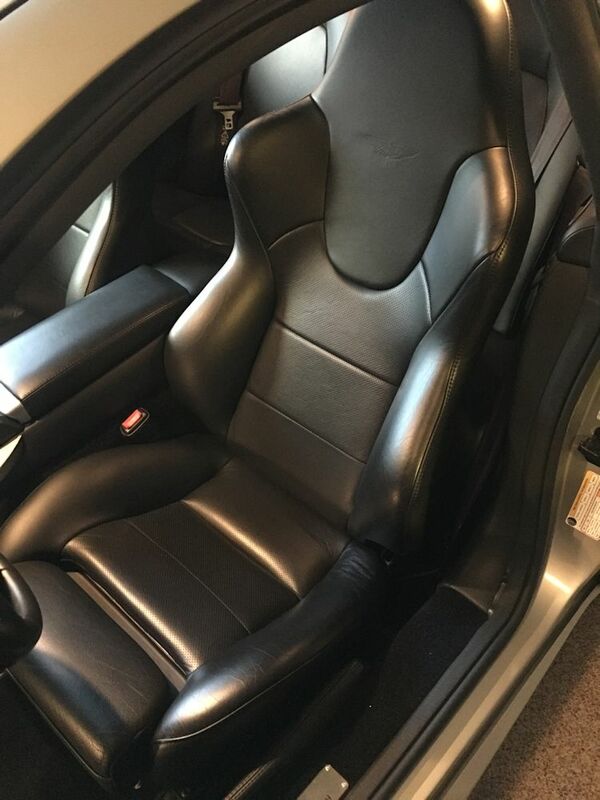 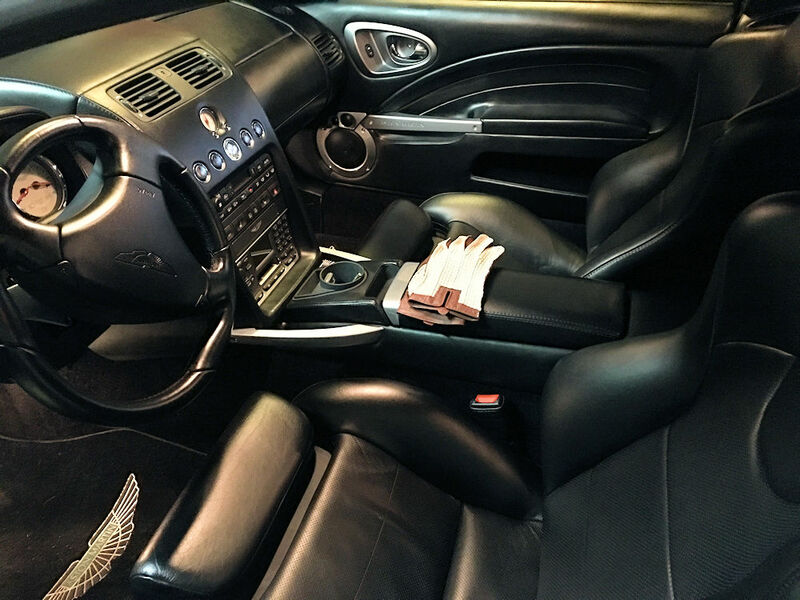 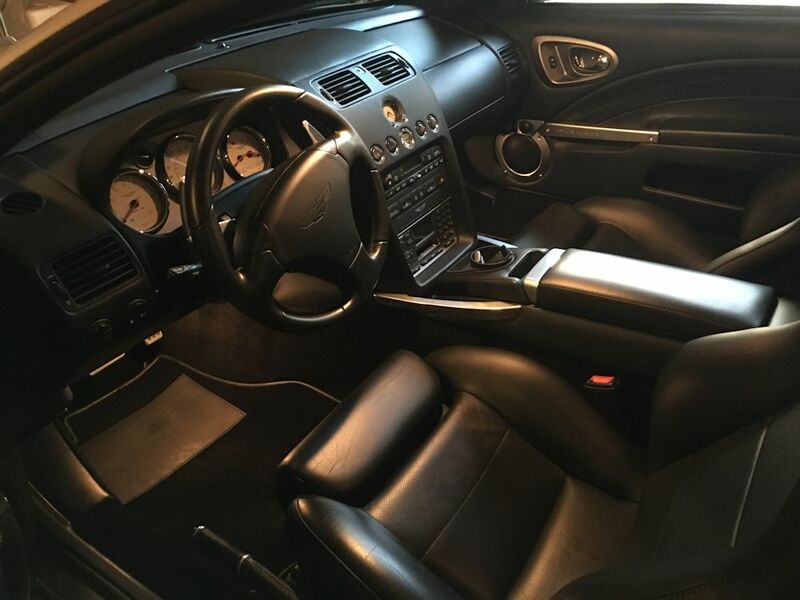 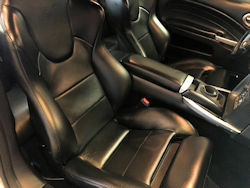 Although the interior of the Vanquish S is virtually as new, the center armrest foam had started to sag recently as a result of my lazy right elbow. 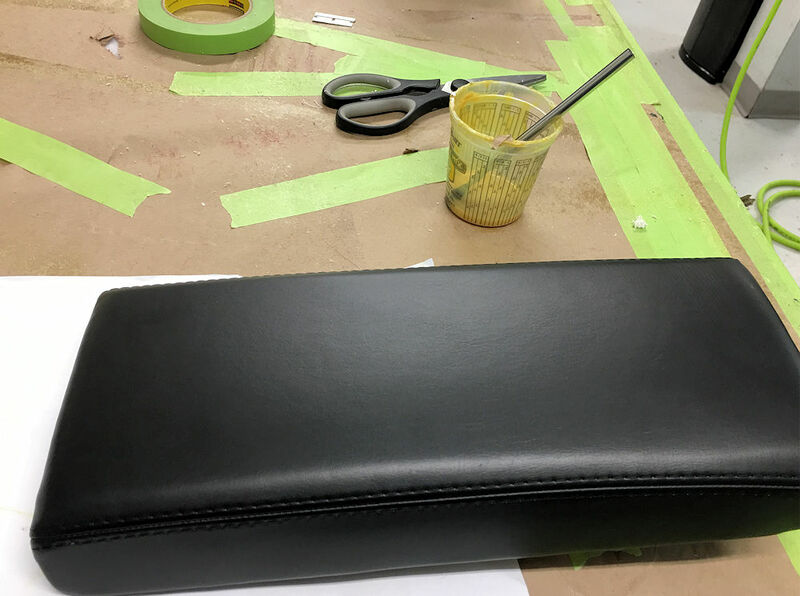 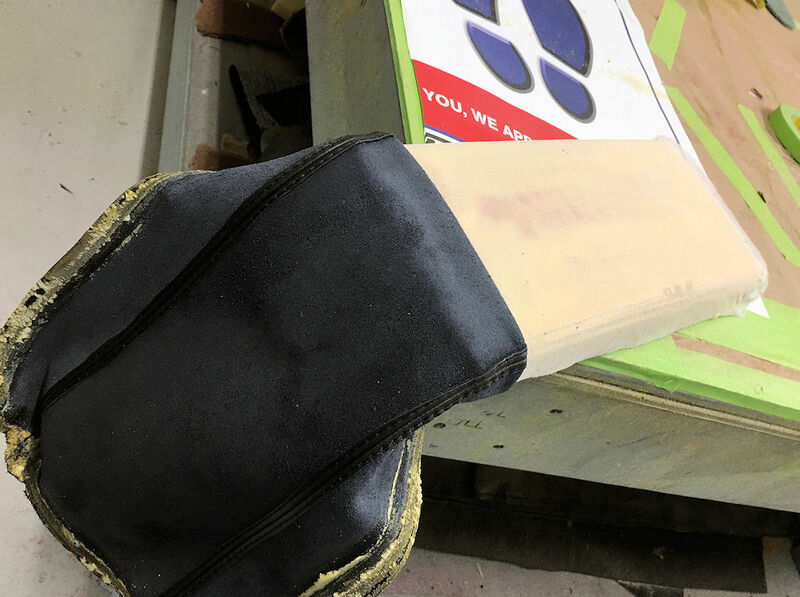 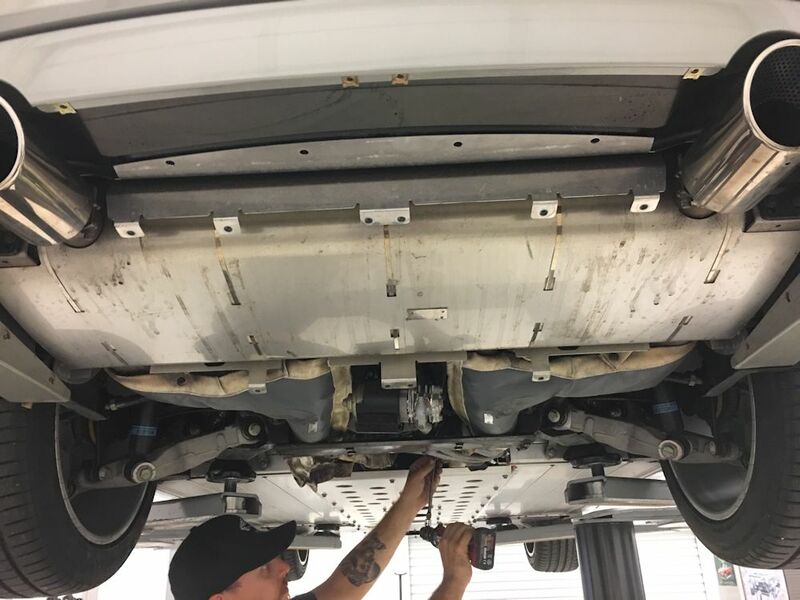 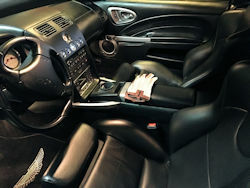 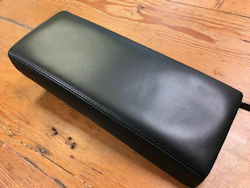 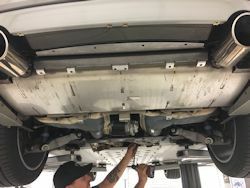 I decided to drive the car to work today and have Carlos remove the armrest and install new closed cell foam beneath the hide, before reinstalling it in the car. 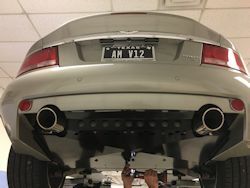 I really am very lucky to have a team of world class technicians available to help me with my personal cars! 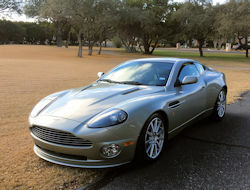 This magnificent Aston Martin Vanquish S may just be the best car I have ever owned. 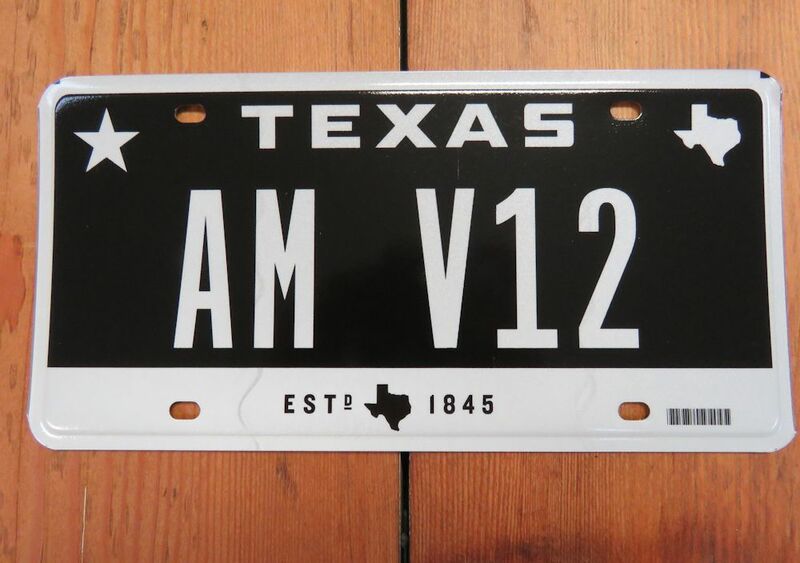 I love the muscular styling, the sumptuously comfortable cabin, and of course the menacing howl of the V12 engine. Having covered just 3,800 miles since it was personally ordered by racing and business legend Roger Penske, it is as close to new condition as any 2005 car could possibly be. I seriously doubt there is a better Vanquish S anywhere in the world. Mechanically the car is absolutely flawless and a joy to drive. 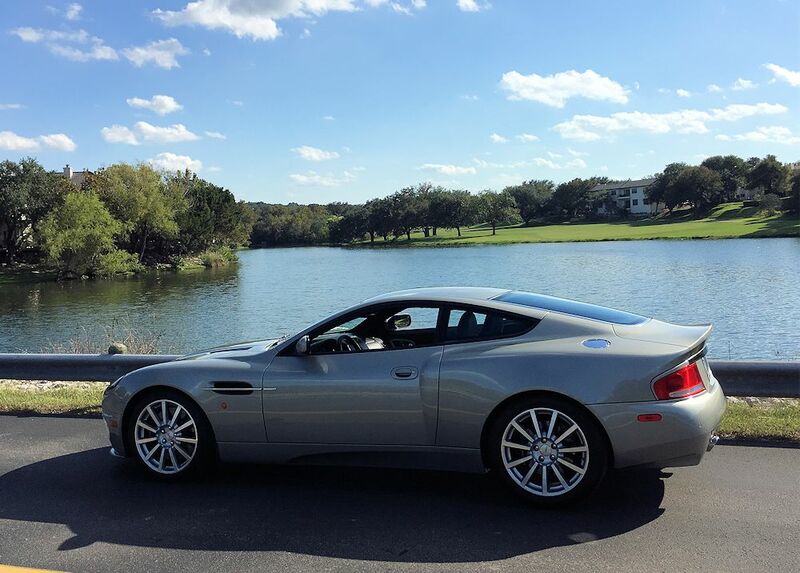 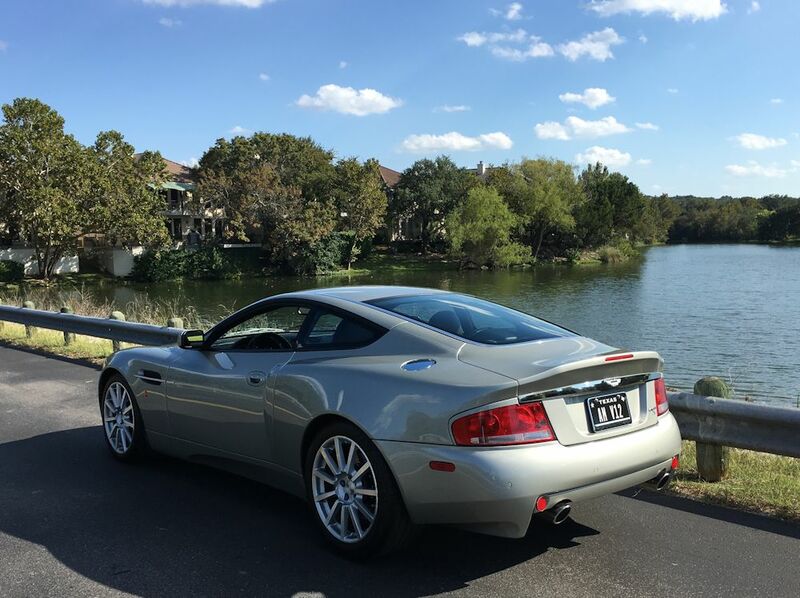 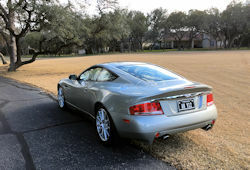 I took advantage of an absolutely beautiful fall afternoon in Austin today and went cruising in the Aston. 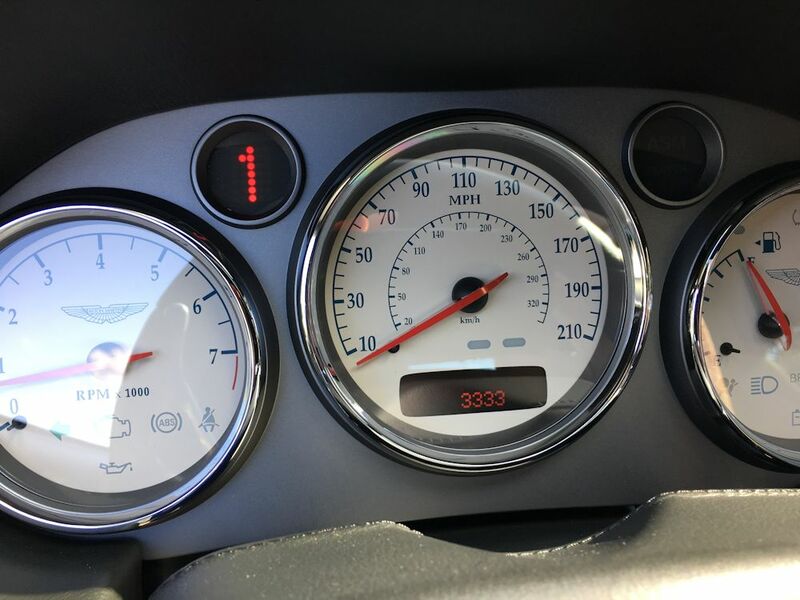 While I was out the milometer turned over 3333, which I felt had to be a good omen! 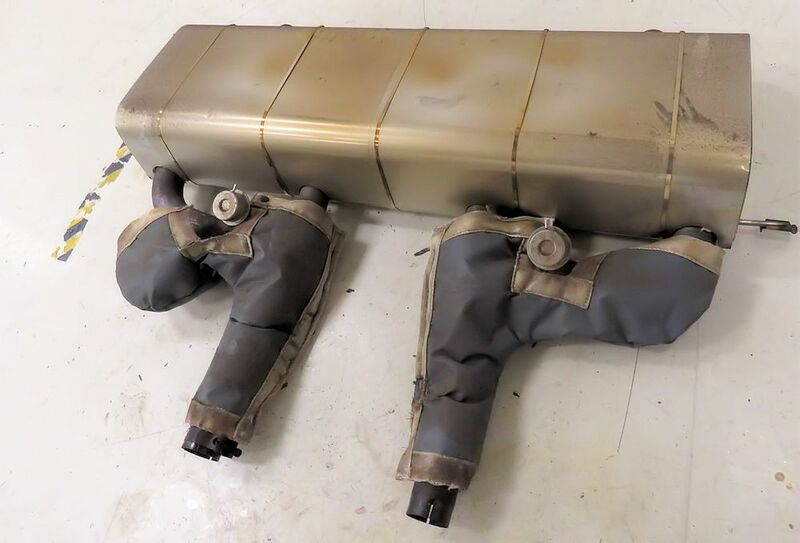 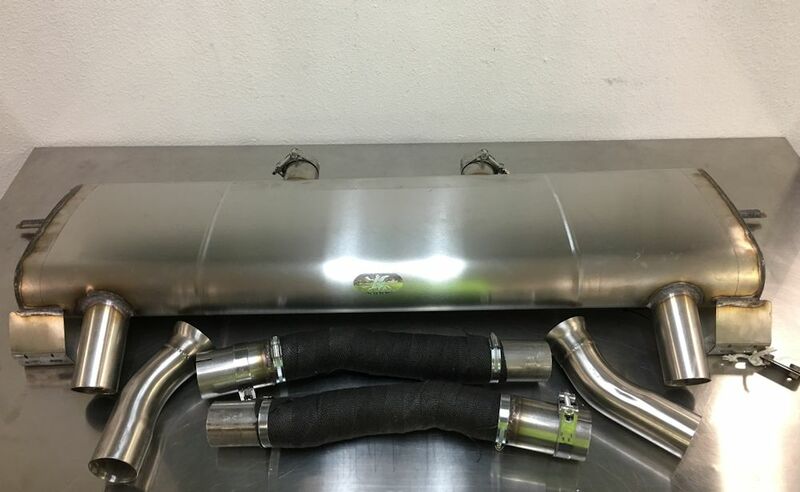 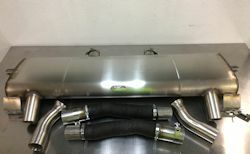 Last week we installed a new Quick Silver Super Sport exhaust in the Vanquish S. The good folk at Quick Silver in England, whose high quality products I have been enjoying for many years, kindly agreed to make me a custom exhaust that promised a few more decibels over their usual offering. 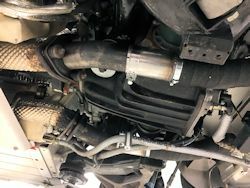 In fairness the car already sounded pretty sporty as the vacuum had been disconnected from the silencer exhaust flaps. 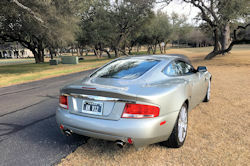 With the new Quick Silver system the Aston now sounds absolutely fantastic. 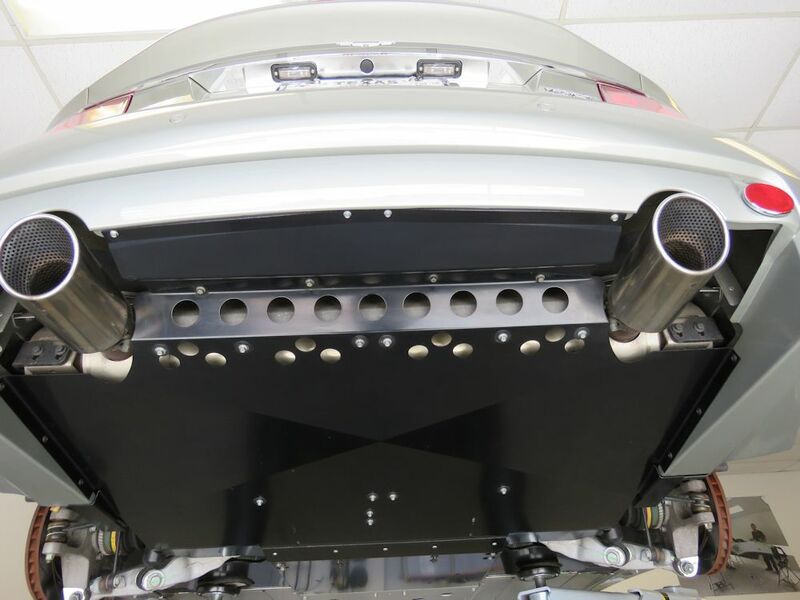 Engine start-up and idle sound way more aggressive than stock, and at higher rpm, the pipes emit a menacing howl. Click on the photo below for a short video clip of engine firing and idle. 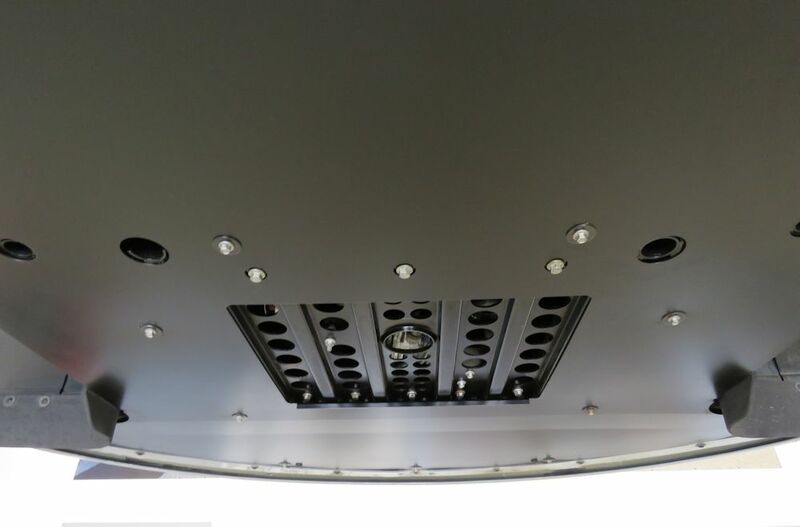 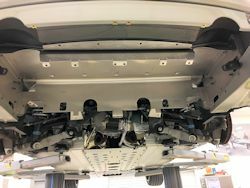 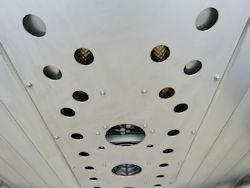 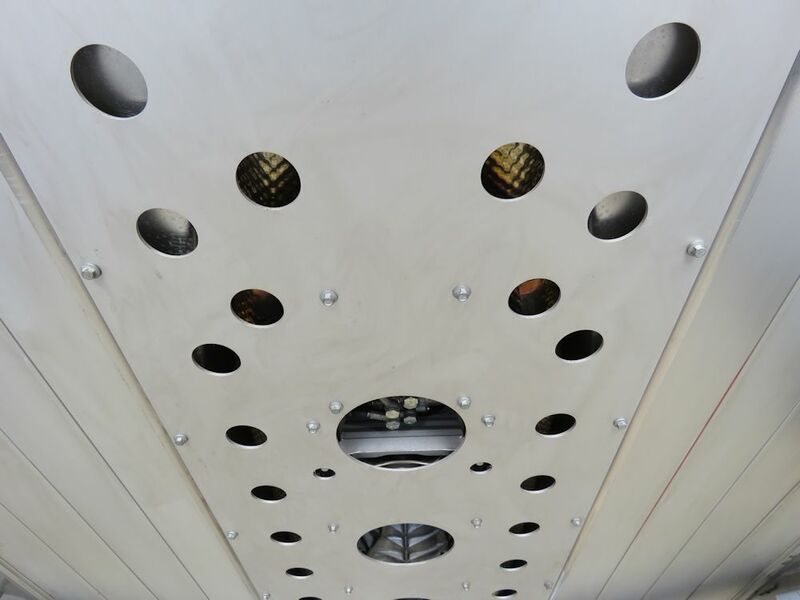 Fitting the Super Sport system was a breeze, as we have come to expect with Quick Silver's products, with the entire installation taking around 4 hours. 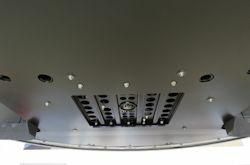 As an additional benefit, the new QS system weighed in at just over 26 lbs, representing a saving of almost 50 lbs over the OEM unit. 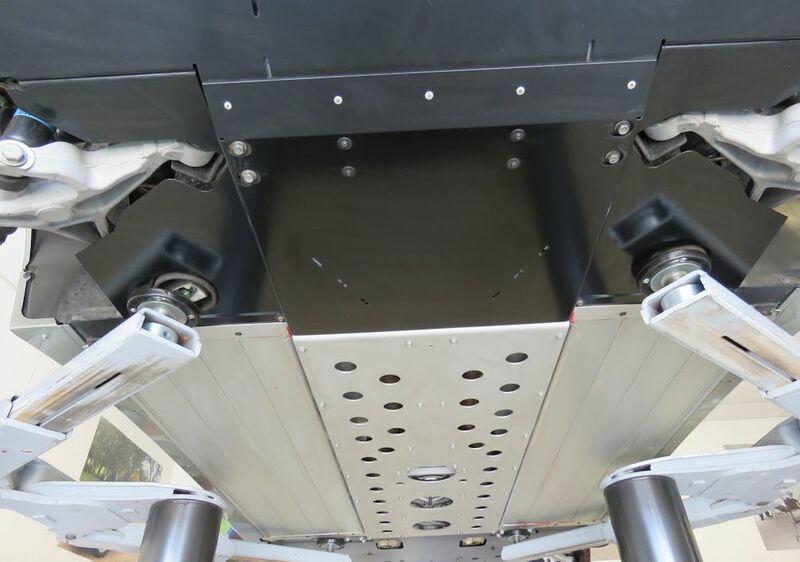 OEM system weighs 75 lbs !! 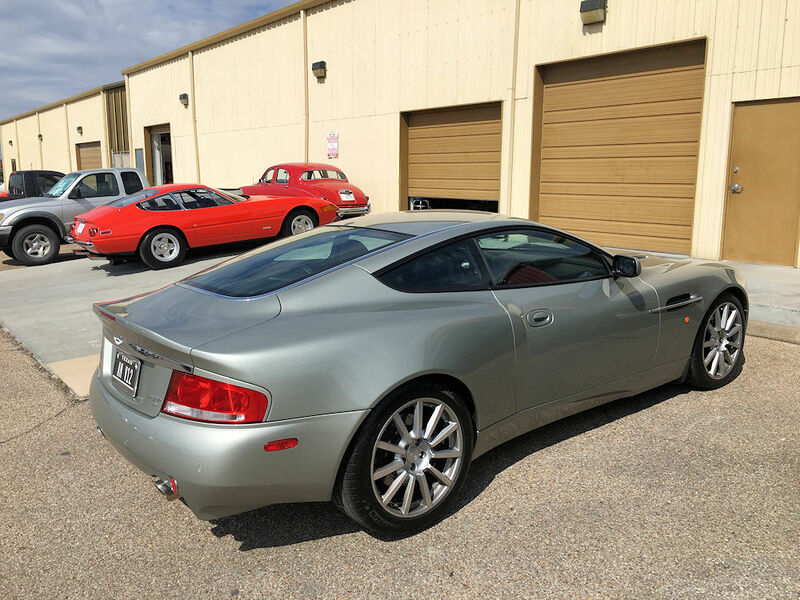 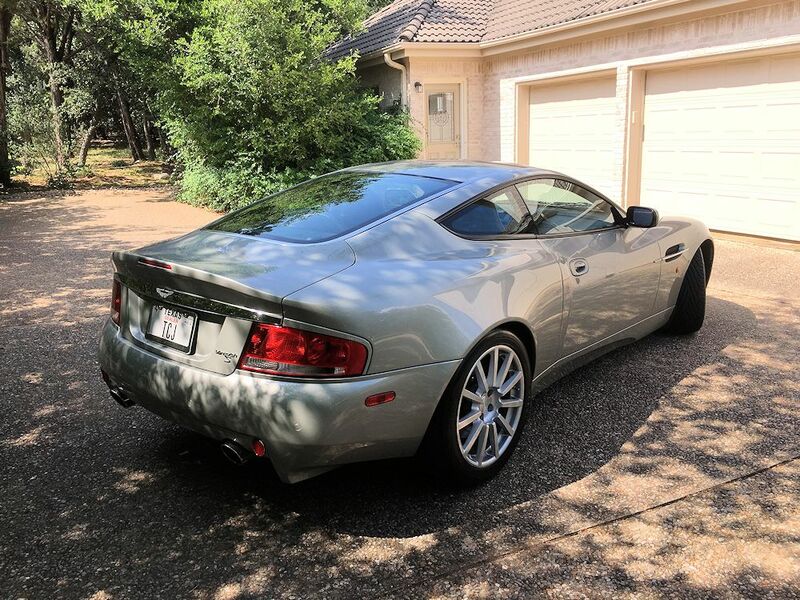 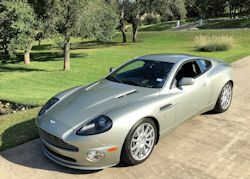 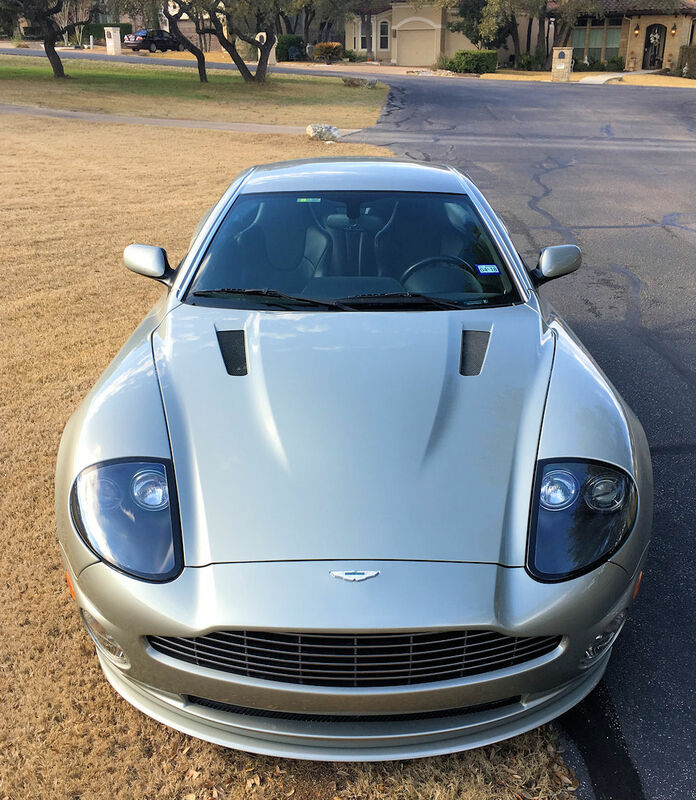 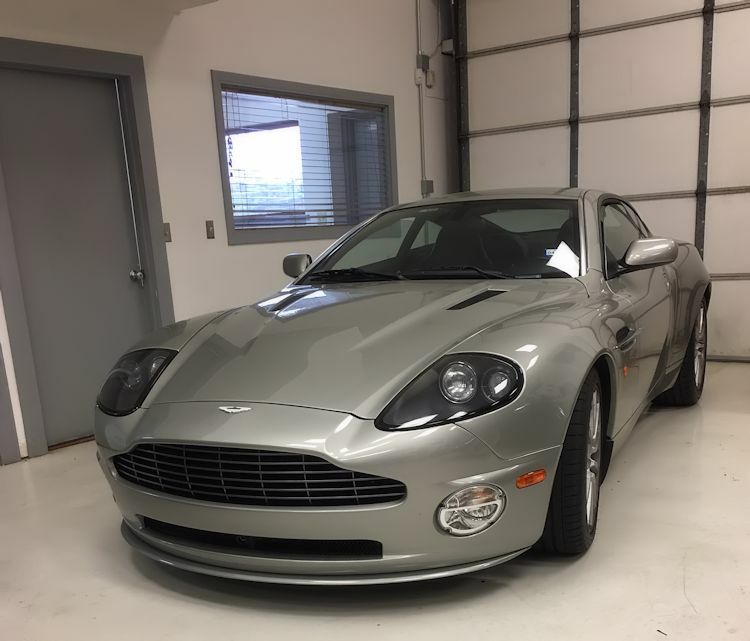 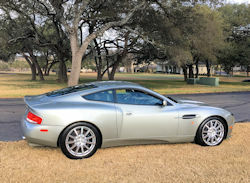 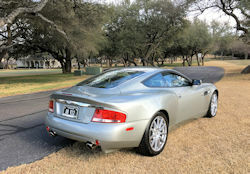 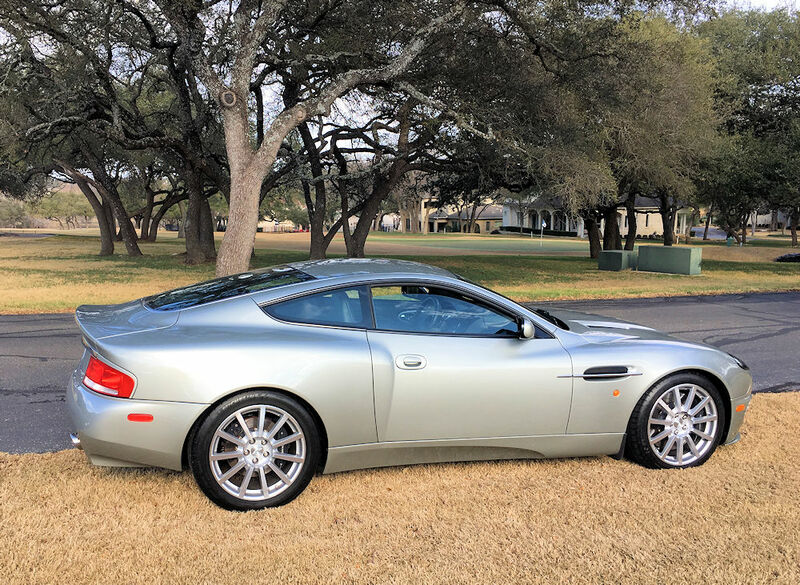 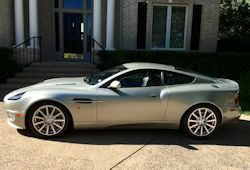 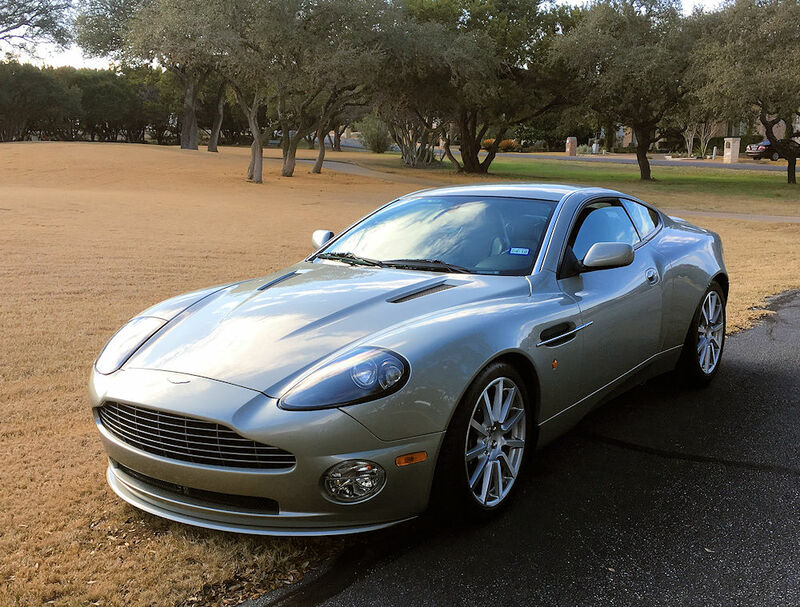 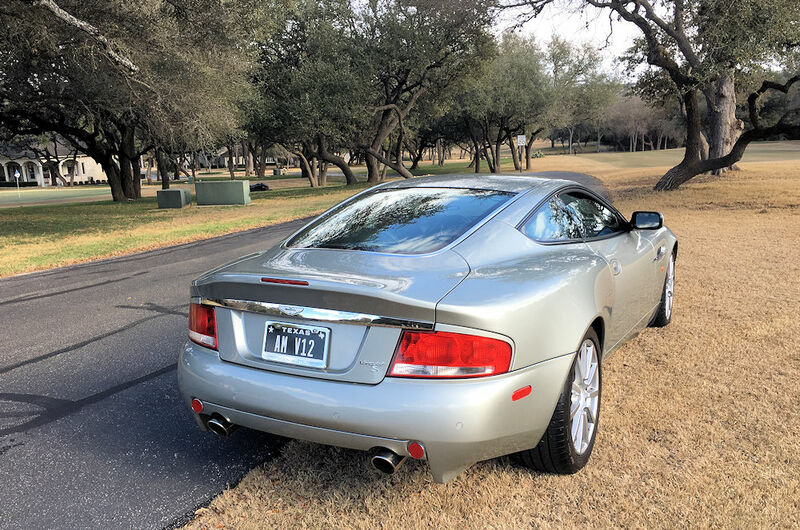 I am absolutely thrilled to have recently acquired this spectacular 2005 Aston Martin Vanquish S. This is a very special car, first owned by racing and business legend Roger Penske, who special ordered the Silver Birch paint. I understand this is one of just two cars in this color, the other being a RHD Vanquish S in England. 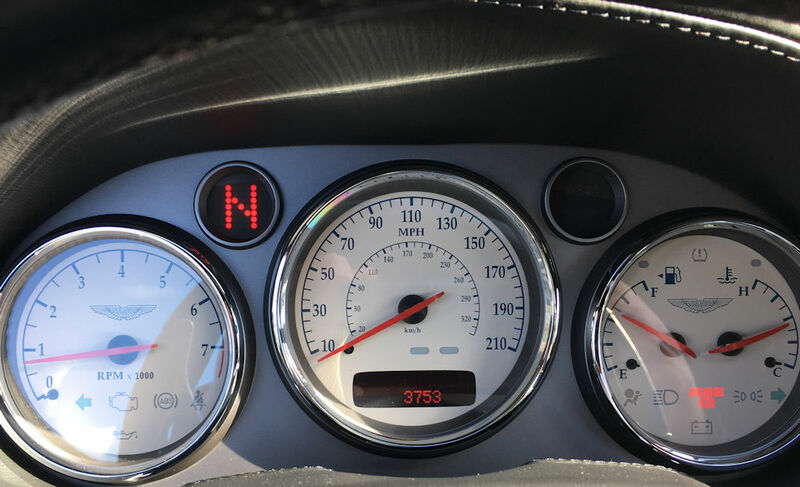 Mr Penske only put 580 miles on the car during his six years of ownership, and the car had only covered a total of 2,400 miles at the time I bought it. I had originally thought I might have one of the Aston Martin Works 6 speed manual transmissions installed, but the paddle shifted manual transmission works exceptionally well and I have actually been enjoying using it much more than I did with my previous Vanquish S. So far all I have done is put some new Michelin Pilot Super Sport tires in each corner (although I have kept the original Yokohamas for posterity) and my friends at Quick Silver Exhausts in England are making me a custom Super Sports exhaust system. 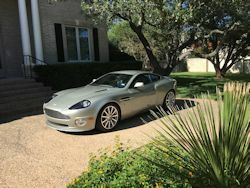 The Vanquish is currently with Bespoke Paint Protection in Cedar Park having the old clear protective film removed and replaced on the front bumper and splitter. cabin than any other car I have owned! 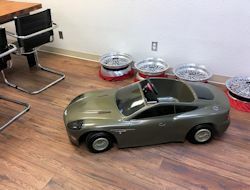 The Vanquish even came with a matching pedal car!